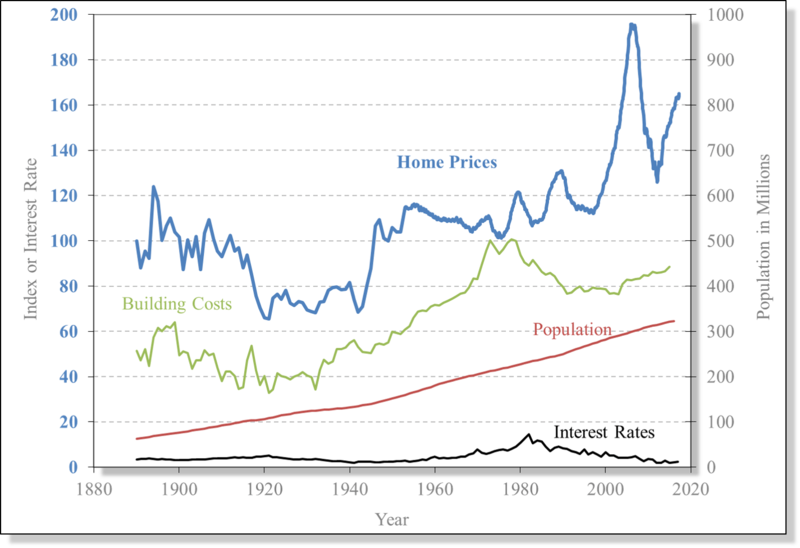 US Home Prices 1890-present (from Prof. Schiller’s Yale page & data). See more details below the chart. US Home prices, normalized to 1890 prices (taken as 100) have been relatively flat. Except for the last bubble in 2006 (do you see another bubble?). Milit – you still think they will always keep growing? Some of the rise possibly attributed to increase in cost of manufacturing due to stringent requirements to manufacture homes. Interest rates peaked in 1984 (at 14.6%) but have since been continuously going down (lowest at 1.88% in 2015).